The fog cleared and the sun made a rare debut over Golden Gate Park on Saturday at the Hardly Strictly Bluegrass festival in San Francisco. Over 750,000 people packed into less than two square miles of land for the free, three-day event from Friday through Sunday –– nearly matching the population of the city itself. More than 100 acts, including Cyndi Lauper and Rosanne Cash — daughter of the notorious blues singer Johnny Cash — played across seven stages, three of which were live-streamed, allowing people to tune in from home. Cyclists, skaters, people walking dogs and pushing strollers maneuvered their way through the traffic of people. Attendees took advantage of the openness of the event and brought blankets and chairs to picnic on the grass while others perched on the hills and climbed the trees for a better view of the stages. Food trucks representing local businesses, selling everything from garlic fries to rice bowls, lined the park’s perimeter. The unsponsored festival was created in 2001 and was subsidized by now-deceased billionaire Warren Hellman. After expanding the lineup to genres beyond bluegrass, “hardly” was tacked onto its original title and became “Hardly Strictly.” A major change in recent years was the addition of a silent disco, “a silent rave” where people can choose from various channels on individual sets of wireless headphones to dance to. From afar, it appears that a sea of people are dancing without music. As the festival continues to grow and change, San Francisco local Sitara Suresh spoke to the familiar ambiance of the event. Hellman once described his donation in a 2006 interview with Forbes as “the world’s most selfish gift,” attributing his reason to initially create the festival out of his own selfish affinity for bluegrass. Despite his original intentions, the creation of a noncommercial festival is a rarity that has benefited hundreds of thousands of people. Dominic Carmassi, a fan in the crowd for Los Angeles rock band Allah-Las, has made the trek to the festival from San Luis Obispo for the last five years. 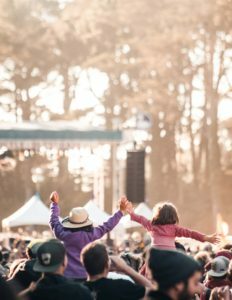 His sister Stephanie Carmassi compared the opportunity for free music to the costly price of the Outside Lands festival that takes place every August, also in Golden Gate Park. Another fan at the Allah-Las performance, Ariana Bindman, noticed the growing crowds of the festival and expressed a fear the expansion could potentially threaten the festival from continuing as noncommercial. Although some expected that the accessibility of the festival would inevitably collapse, Warren Hellman left his billions of dollars in assets to charity upon his death in 2011, and there’s no definitive end in sight, even if it isn’t officially endowed. Over the years the festival has stayed loyal to its noncommercial origins but has broadened the scope to include new genres. 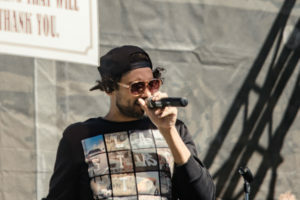 A group from Vancouver, Delhi 2 Dublin played electronic dance music fused with bhangra, a type of music with origins in South Asia fused with Western pop. DJ and tabla player Tarun Nayar from Delhi 2 Dublin explained his desire to diversify the music heard by the public. Nayar was interested in hearing more genres like K-pop — Korean Pop — in the mainstream. 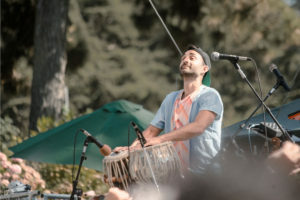 They sang, DJ’d and played live instruments like the violin, sitar, a string instrument native to India, and the tabla, a percussion instrument similar to bongos and native to India and Pakistan. After playing at Burning Man and Symbiosis Gathering festival a few weeks back, it’s a change of pace and environment for the group to be playing at Hardly Strictly. After a slower set by the Cactus Blossoms, the crowd for Delhi 2 Dublin got to their feet to dance while others observed hesitantly in the back deciding if they wanted to venture to a different stage. Seran acknowledged that their group was not a bluegrass band and they brought something fresh to the table by incorporating folk traditions with a modern electronic sound.